USA Volleyball has selected Detroit, Dallas and Phoenix as host of its three signature national championship events in 2018. The USA Volleyball Girls’ Junior National Championships will be staged in Detroit for the first time and will be played June 25–July 4 at the Cobo Center. 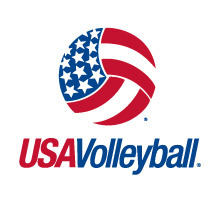 The USA Volleyball Boys’ Junior National Championships will return to Phoenix for the third time, July 2–9, at the Phoenix Convention Center. And the USA Volleyball Open National Championships will return May 25–30 at the Kay Bailey Hutchison Convention Center. The USA Volleyball Annual Meetings will also take place in Dallas the week leading up to that event. The Open National Championships began in 1928 and have been staged annually except for two years due to World War II. It typically draws 500 teams with 6,000-plus players. The event was previously held in Dallas in 1960, 1996, 2002 and 2011.